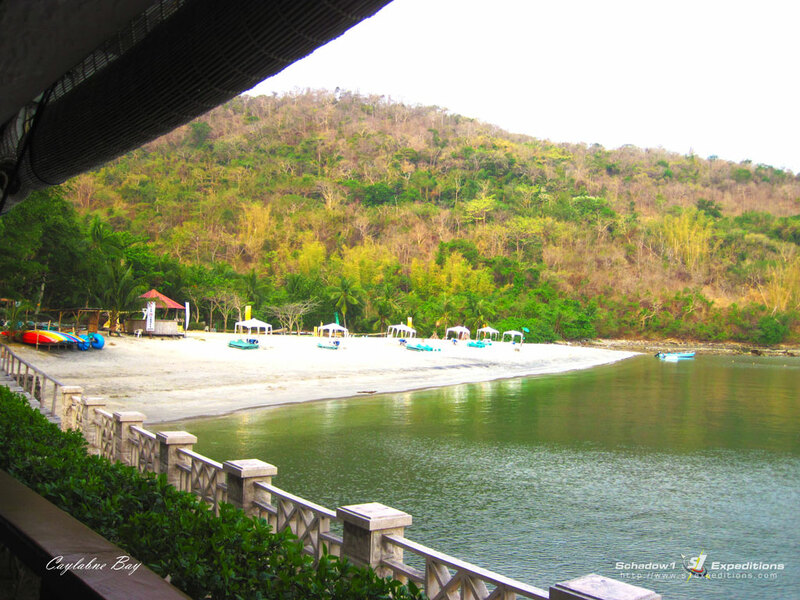 Caylabne Bay is a private resort at the end of Cavite's westward road. It passes through the Palay-Palay Mountain Range where Mt. 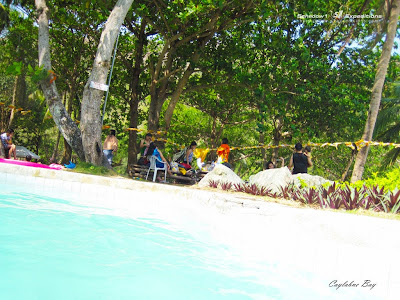 Pico De Loro Ternate Jump-off is located. Caylabne bay is second to the last of the coves of Pico De Loro's northern ridge facing Manila Bay. Together with other coves along this area which includes the Marine base, they are lined up to the opening of Manila Bay to the West Philippine Sea. 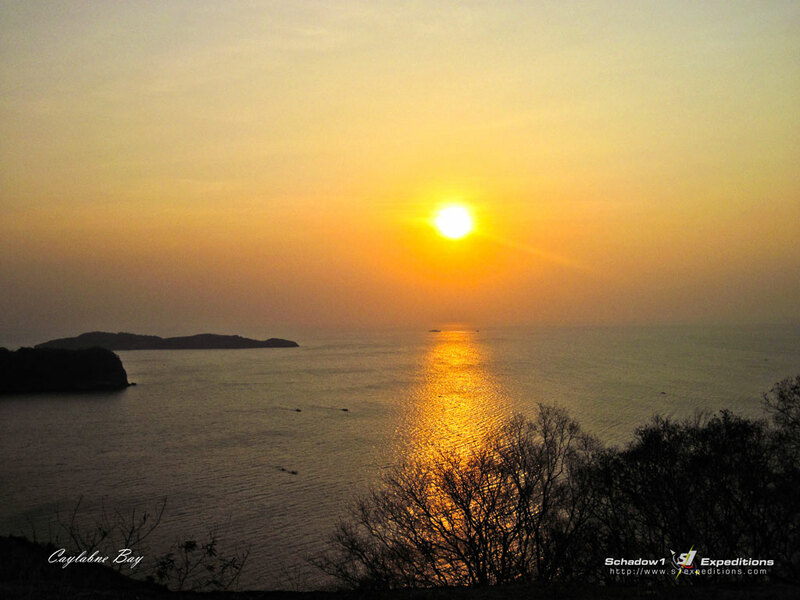 The beach is surrounded by rolling hills, and sunsets are spectacular. Caylabne Bay Resort is primarily marketed as a conference and team building resort. With many hotel building units on the elevated part of the resort beside the east hill, and a beach at the end of the road. 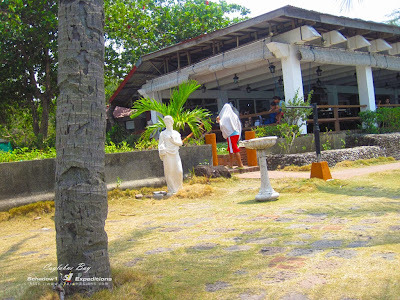 A restaurant is also available by the beach serving Italian and American cuisine. Filipino and American breakfast is also served until 10:00 AM. The beach is gray sand and is only about 110 meters across. The usual activity is beach volleyball. Kayaking is also one of the activities here. There are seasons when there are a lot of jellyfish swimming around the beach which makes it impossible to to take a dip. This is where a swimming pool is highly important to which it did not disappoint us because aside from the beach, there are two swimming pools. One is near the beach sand area and the other one is beside the restaurant. Swimming pools for kids and adults are available. 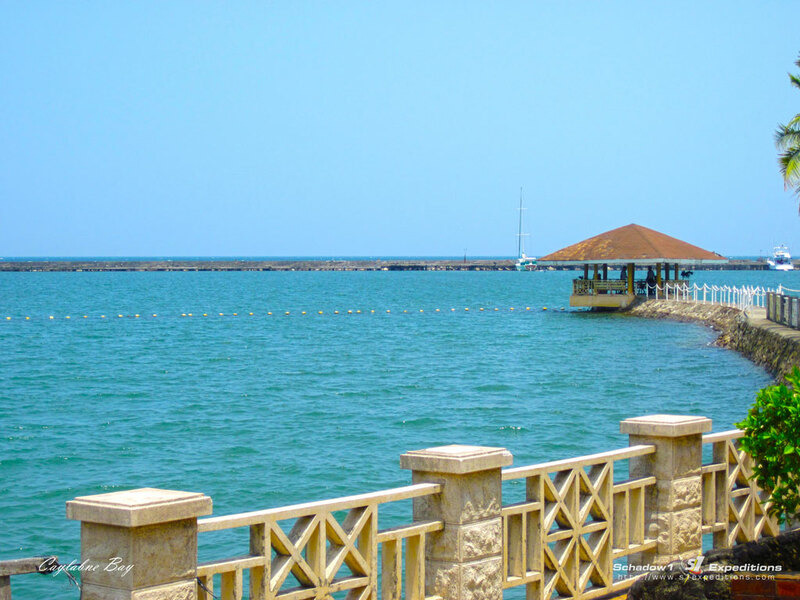 A gazebo is also present to which it is located at the middle of the beach and is accessible via a wooden walkway. Wireless internet propagated from the restaurant is accessible up to this point. The food is great tasting, however the price is too high. An example is a clubhouse sandwich which costs P300. Bringing in of your own food and drinks is subject to sky-rocketing corkage fees. We were there for a day-swim so we could not check the accommodations. However, looking from its exterior, the houses and even of the restaurant seems to be already a bit dilapidated and lacks maintenance. The luster it once had during the 90's has already faded. This is in reference to the pictures my dad have when they had their conference at this same resort 18 years ago. Anyhow, the disappointment from the old facilities are compensated by the cleanliness of the surroundings and the magnificent sunset it harnesses. On fair weather, Corregidor Island can be seen from afar as well as the Mariveles mountain range of Bataan. 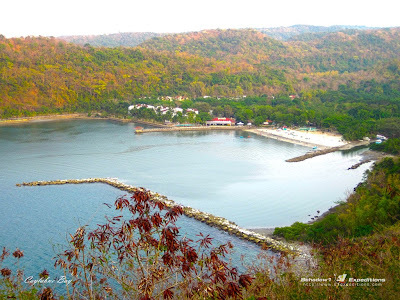 Caylabne Bay is only accessible via private transport or hired jeepneys/van from the main Ternate town. Ternate is accessible via buses bound to it at the Southwest Integrated Bus Terminal at Paranaque. Via private vehicle, coming from Manila, you need to drive along Cavitex all the way to Centennial Road and Antero Soriano Highway until Ternate, Cavite. Turn right to Caylabne Road and pass by Puerto Azul, Magnetic Hill, Mt. Pico De Loro Jump-off and head straight instead of turning left to Ternate-Nasugbu Highway (Kaybiang Tunnel). Head straight as you pass by the Marine Base access road. The Caylabne Road ends at Caylabne Resort. Disclosure: This is a non-sponsored post. Caylabne Bay has been mapped as part of Schadow1 Expeditions mapping advocacy to which the data has been contributed to +OpenStreetMap Philippines so that a Filipino will not be a stranger to his own motherland.